Built in 1870 by the Prince and Princess of Wales, later King Edward VII and Queen Alexandra, Sandringham was once described as 'The most comfortable house in England'. It has beautiful gardens. It has been passed down as a private home through four generations of British monarchs and is now the country retreat of Her Majesty The Queen and His Royal Highness The Duke of Edinburgh. 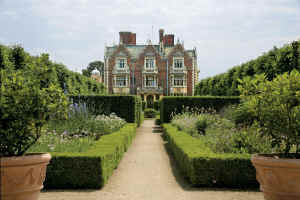 Garden Tours at Sandringham House: Wednesdays and Saturdays at 11am and 2pm - £3.50 supplement. daily from Monday 1 April to Monday 22 July re-opening Saturday 27 July (Gardens and Museum only on 27th July) to Sunday 20 October inclusive. 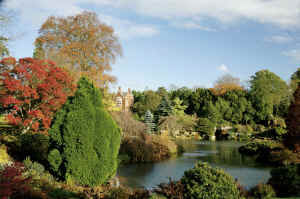 Gardens 10.30am to 4.30pm (3.30pm in October), House 11am to 4.45pm - (3.45pm in October). Disabled access. If you want to find places to stay near Sandringham House, why not stay in one of our recommended hotels. Each hotel has genuine guest reviews enabling you to book from anywhere in the world in total confidence. Not only do we feature hotels near the garden, we also feature hotels worldwide and at all major airports. Special prices up to 70% off standard rates as well as hundreds of exclusive deals. 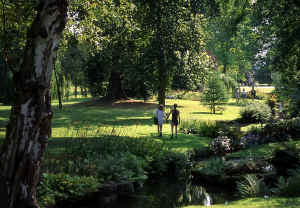 Look now for hotels near Sandringham - click here.